MiniTool Partition Wizard Home Edition is a powerful software which performs complex partition operations in Windows 32/64 bit operating systems. This is absolutely free partition manager which takes less memory for complicated operations like resizing, copying, creating, deleting, formatting, converting, exploring, and hiding hard disk partitions. MiniTool Partition Wizard latest version 7.1, is a recommended partition tool for Windows users who doesn’t have enough knowledge about hard disk partitioning. This supports most disk types, including removable memory devices like pen drives, memory cards, flash drives, etc. The interface is similar to modern Windows editions, easy for navigation with basic controls on top and main controls on left-side. Partition Wizard displays detailed information of each hard disk and USB drive. Create, Copy, Format, Resize, Delete, Hide and Convert Partitions. Convert Dynamic Disks to basic disks, Change drive letters, and Performs complex tests. Detail information regarding each system disk and partition. File menu for quick access for wizard-based copy and recovery tools. Wipe Partition Control for disk wiping. Create ISO image for bootable partitioning. 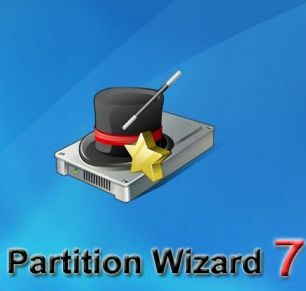 Download Free MiniTool Partition Wizard 7.1 Home Edition for Windows 7, Vista, XP and 2000 operating systems and make easy partitioning which increase OS capabilities.